Trashi Choling literally means “The Place of Auspicious Dharma”. It is located on Tatipu Hill, North of the Jokhang in Chengguan, Lhasa, Tibet and lies facing the Southern direction on the tiered slopes of the mountain, 3km northwest of Sera Monastery. 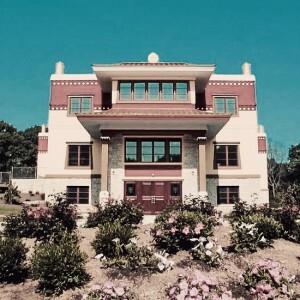 Trashi Choling was expanded and refurbished when it became the private residence of Kyabje Pabongka Rinpoche and a large temple was added on the top floor of the hermitage to pay homage to the Protector Dorje Shugden during this time. 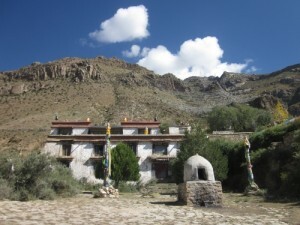 From then on, Kyabje Pabongka Rinpoche’s summer months were spent at Trashi Choling and the winter months were spent in private quarters at Sera. According to sources, there used to be more rooms to house the 21 monks who lived there as well as the ladrang staff of Kyabje Pabongka Rinpoche. Trashi Choling remained part of Kyabje Pabongka Rinpoche’s estate until 1959. Though it was no longer the property of Sera, Trashi Choling maintained ties with Sera Mey College and Sera Tantric College due to its affiliation with Kyabje Pabongka Rinpoche. 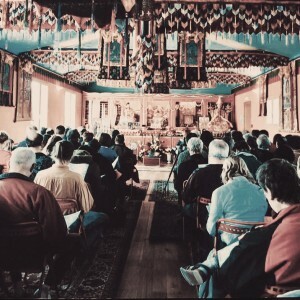 When the present incarnation of Kyabje Pabongka Rinpoche returned to Tibet, the hermitage reverted back to his estate even though in the intervening years since its restoration in 1990, it was once again an autonomous institution. No one knows for sure when the hermitage was built but a contemporary Tibetan author states that it dates back to the time of King Songtsen Gampo (7th Century) and was then known as Gdugs yur dgon. But real evidence of its existence comes from the time of the Mongolian ruler, Lhazang Khan. 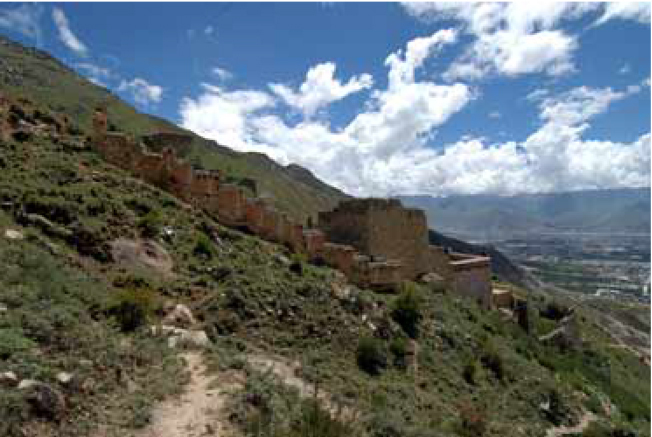 During the time of Lhazang Khan, Trashi Choling was the winter home of the monks from his private ritual college. These monks were responsible for all the necessary rituals for merit-generating and protection for the king. Historical sources state that these very monks spent the summer months in Northern Tibet and in winter sequestered themselves north of Lhasa in this hermitage. 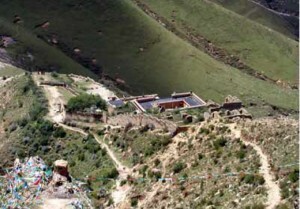 The current, bigger Sera Assembly Hall known as Coqen Hall, the place for monastic communal rituals was actually built by Lhazang Khan in exchange for the original, smaller Sera Assembly Hall known as Ngakpa Tratsang, to permanently house Lhazang Khans’s private ritual college shortly after his rise to power in 1705. 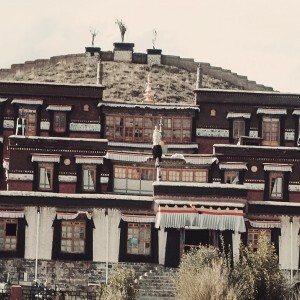 His ritual college reverted to Sera Monastery after his death in 1717 and became Sera Tantric College with the monks of the ritual college being absorbed therein. Along with the monks came the rights to the winter residence in the Northwest of Sera, namely the hermitage of Trashi Chöling. According to Dungkar Rinpoche, there is a tradition in Sera Tantric College of sending 21 monks to maintain the hermitage and its rituals. Within the hermitage is an altar with the images of Lama Tsongkapa (one-storey high) and his two main disciples, Gyaltsab Je and Khedrup Je. To the left of Lama Tsongkhapa are two smaller statues of the Buddha. To the right are life-size statues of Kyabje Trijang Rinpoche, Kyabje Pabongka Dechen Nyingpo, and Jetsun Lama Ngawang Namdrol, whom many believe to be the founder of the hermitage. There are also three funerary stupas of these three figures along the eastern wall. These statues and stupas are new additions to the hermitage. Before the attacks in 1959, the main images on the altar of Trashi Choling were a statue called the “Maitreya as Lord of Men”, an important set of images of the Sixteen Arhats, and Chakrasamvara. 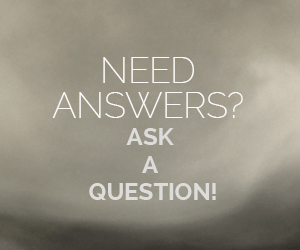 All the original statues have either been destroyed or are missing. There is also an old statue of Chakrasamvara found on the altar in the north-western corner of the temple which may not have originally belonged to the hermitage. 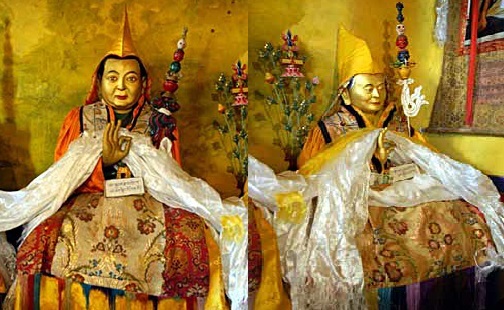 Life-sized statues of Kyabje Pabongka Dechen Nyingpo (left) and Jetsun Lama Ngawang Namdrol (right). Monks’ quarters (presently two floors) and a kitchen, located just beneath the main temple and across from the monks’ living quarters. Comparing old photos against the actual site, one can see that the actual building is smaller than what it was before. 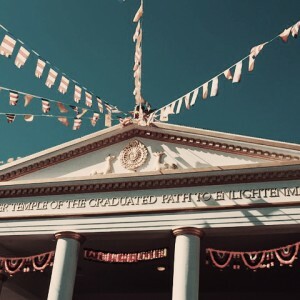 The main temple (only two floors, but previously four). 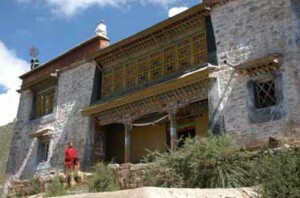 The former residence of Kyabje Pabongka Rinpoche, with its ancillary chapels. This residence and its chapels lie in ruins. The temple of Dorje Shugden too lies in ruin. 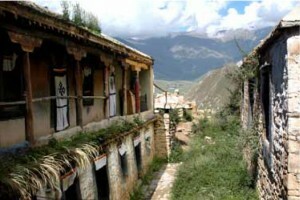 The monks’ quarters of Trashi Choling. After 1959, Trashi Choling Hermitage was in ruins and neglected, as were all the hermitages belonging to Sera Monastery in Tibet. In 1990, a student of Kyabje Pabongka Rinpoche undertook the arduous task of restoring the hermitage as a personal project. After 30 years, the hermitage had finally been brought back to life. Today, the hermitage is maintained by two elderly monks who serve as temple attendants and caretakers of the site and are aided by the nuns of Takten Hermitage, who live just up the hill. Travelling between Sera Monastery and Trashi Choling Hermitage is considered convenient as it takes only about an hour by foot. As is the norm, there is a pilgrimage route around Sera Monastery and Trashi Choling forms one of the important stops during the “Sixth-Month Fourth-Day” religious festival. This circumambulation route is known as the “Sera Mountain Circumambulation Circuit”. Thousands from around Lhasa and the surrounding parts of Tibet will trek on this merit-generating pilgrimage. Along the way, one can detour to two other important hermitages, namely Pabongka Hermitage which is the largest and most important of the Sera hermitages, half a kilometre downhill to the West; and Takten Hermitage half a kilometre uphill after a gorge to the East. Pabongka Hermitage was a fort during King Songtsen Gampo’s time around the 7th Century. It was converted into a monastery by King Trisong Detsen and was said to be used by Guru Rinpoche for his meditations. Even Lama Tsongkhapa had lived at the site as a hermit. 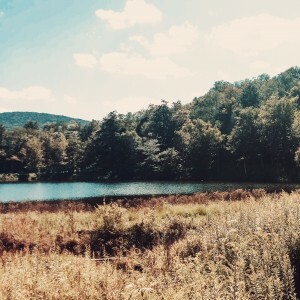 Pabongka Rinpoche visited the area to find a site for locating his hermitage and saw a crow which spoke to him. He interpreted it as a “revealed sign” to build his hermitage here. The hermitage mostly consists of caves with fascia at the entrance to the caves. 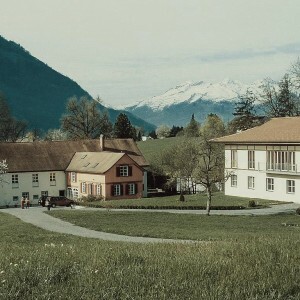 It is so heartening to read of another great monastery restored to it former use. Tashi Choling sits so majestically up the hill overlooking the dwelling at the valley below. I could imagine myself standing on the parapet with the wind in the face and enjoying the grandeur of the view, thanking my merits for having been there with my Guru for the precious practise. May Lord Dorje Shugden always guide me to be close to my precious Guru and to help me overcome my mental obscuration to my practise that I may swiftly achieve attainments to be of help to my Guru. Trashi Choling Hermitage sounds like large hermitage with a lot of interesting history behind it. To think that it was once the winter home for the monks of Mongolian ruler, Lhazang Khan. But, most important of all, it was once the home of the great master Kyabje Pabongka Rinpoche. The ties and proximity to Sera Monastery was interesting. Moreover, it is part of the “Sera Mountain Circumambulation Circuit” making it a very holy place. Trashi Choling Hermitage has an unmistaken vintage characteristic that borderline mystical. Perhaps also due to the many history as well as occupants of this hermitage. It is most generous for the student of Kyabje Pabongka Rinpoche to have undertaken the responsibility of restoring the hermitage in ruin back in 1990. Today, the hermitage is maintained by two elderly monks and aided by the nuns of Takten Hermitage, who live further up the hill. Keeping the guru’s house clean is important because guru did his daily prayers, rituals and puja which is very blessed to everyone that near to that particular place. For this instance, a student of Kyabje Pabongka Rinpoche restored the former residence of Kyabje Pabongka Rinpoche. Later, it is maintained by two elderly monks.